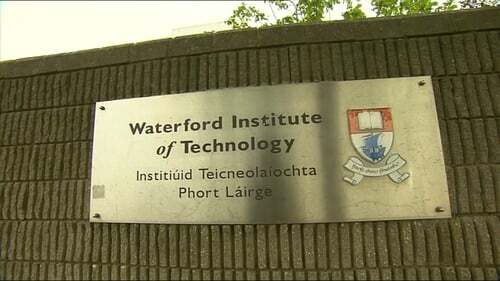 The State's financial watchdog has criticised how Waterford Institute of Technology managed the development and subsequent sale of a campus company called FeedHenry Limited for €63.5m. The Comptroller and Auditor General (C&AG) said that due to the potential value of the technology, a departure from policy on WIT's lower than normal equity stake, and the fact that senior management had certain conflicts of interest through personal shareholdings, the governing body should have been actively overseeing the process. The sale also saw some staff in FeedHenry Ltd, who had already benefitted from the sale as employees of the company, receive additional bonuses of over €5,000 each because they were also part of the WIT internal research body that oversaw its development. The C&AG also found that WIT's Commercialisation Policy Committee could have provided more oversight over the institute's interests in the transaction. In 1996, WIT established an internal research body called The Telecommunication Software and Systems Group (TSSG) to undertake both basic and applied research work. After working on an EU-funded project between 2002 and 2004, TSSG researchers developed technology with commercial potential known as FeedHenry. According to the Comptroller and Auditor General's report, in June 2008, a number of individuals, including staff of TSSG, registered a company called FeedHenry Ltd. The following September, WIT awarded the company a trial licence to use the FeedHenry technology. Two years later, WIT transferred full ownership of the Intellectual Property (IP) to FeedHenry Ltd in exchange for a 10.8% equity stake in the company, though the C&AG noted that the original proposal was for a 15% stake. Enterprise Ireland contributed funding to WIT totalling almost €1m to support a number of commercialisation projects, including the FeedHenry technology, and went on to invest a total of €800,000 in the company. In 2014, FeedHenry Ltd was sold to a multinational technology company for approximately €63.5m - by which time it employed 65 people in the Waterford region. Following the sale, Enterprise Ireland and WIT received €4.5m and €1.6m respectively, in respect of their shareholdings. WIT allocated €492,000 of those proceeds to pay bonuses under an incentive scheme to 80 TSSG staff, with each employee receiving €5,575, plus €575 in employer's PRSI. Some who received these bonuses were simultaneously shareholders of FeedHenry Ltd and had already benefitted financially from the sale. WIT also paid €147,000 to a financial institution under a 2005 agreement on funding for the establishment of the Institute's Arc Labs Research and Innovation Centre. However, WIT was unable to locate a signed copy of that agreement. It retained €951,000 from the proceeds. The C&AG noted that national codes and guidelines encourage Higher Education Institutes (HEIs) such as WIT to commercialise the outcomes of their research, which is often done by vesting the intellectual property in a campus "spin-out" company. He also says that staff of HEIs may be involved in the establishment of spin-out companies, but cautions that this requires them to have policies and procedures to manage potential conflicts of interest around their relationships with such companies. In February 2010, the Governing Body of WIT established an internal Commercialisation Policy Committee to deal with such issues. The C&AG says minutes of its first meeting on 6 December 2010 make no reference to discussion of the impending assignment of the valuable intellectual property to FeedHenry Ltd. It states: "Given its broad membership from across the Institute, the Committee could have provided additional oversight and transparency over the Institute's interests and assisted in reviewing the details of the agreements made in relation to FeedHenry." The intellectual property policy included a guideline that a 15% equity stake in spin-out companies would be appropriate where intellectual property was being transferred. The original July 2010 licence agreement between WIT and FeedHenry provided for the Institute to take a 15% equity stake, in exchange for the transfer of the intellectual property, provided the company attracted €500,000 in investment funds. However, by December 2010, WIT had agreed to reduce the equity stake to 10.8% and the C&AG said the basis for that reduction in equity was not documented. He noted that the governing body, which is ultimately responsible for the institute's governance and protection of its assets, was not involved in any of the key decisions made during the commercialisation and assignment of the FeedHenry intellectual property. However, he went on to state: "Due to the potential value of the technology, the departure from policy on the share of equity and the fact that senior management had conflicts of interest through personal shareholdings, the Governing Body should have been actively overseeing the process." His review found that neither institute nor national policies deal with situations where staff members have significant personal interests in companies acquiring intellectual property from their employer organisation. Examining the negotiating process, the C&AG stated that negotiations for the rights to use the FeedHenry Intellectual Property were led on the institute's behalf by the (then) secretary/financial controller, who was not a shareholder in any TSSG spin-outs. It also noted that the institute's (then) vice president for research was a shareholder in FeedHenry Ltd but was not formally involved in the negotiations with the company. The C&AG said many of the details of the negotiations were managed by officials from the research office. These officials reported to the secretary/financial controller in respect of those issues, but in all other respects reported to the Vice President for Research. The C&AG said that where a campus spin-out company was established, and facilities and resources were shared between the company and the HEI, the Institute should ensure that there was an "appropriately detailed" Service Level Agreement and a well-defined system for capturing and allocating costs. In the case of FeedHenry Ltd, there was no such Service Level Agreement or cost-sharing agreement before November 2010, despite the company having its registered address at the WIT campus from 2008. A spokesperson for WIT said that it had only just received the report, would reflect on it, and would comment as soon as possible. The C&AG stressed that "The report does not make any criticism or comment or present any view, whether express or implied, with respect to staff members of public bodies or third parties, and should not be understood as doing so."